The club has now completed stocking for the year with 250 marked fish, these really are excellent fish. 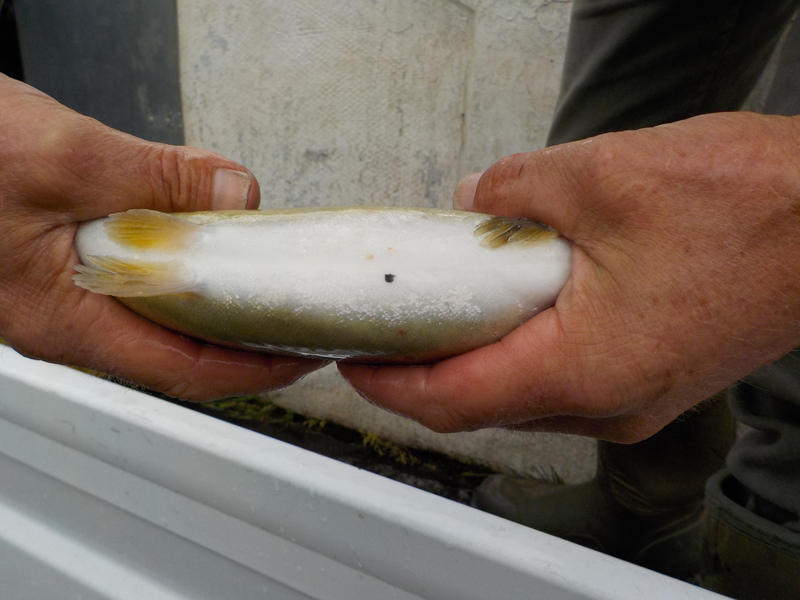 These are Triploid (infertile) fish in line with the new EA regulations. We really need your help now, we need to try to understand the effect of Tripoild fish on our waters. How far they move , up or down river and how long they remain in our waters. From this information we can begin to consider our future stocking policy. The fish are marked with a black spot (see photo). BLack Spot identifies our fish. Please check for this spot when catching these fish, and keep a record of size, when and where caught and let us have this information with your end of season catch return. A form is provided on this site for your convenience. All information will be helpful. Thank you.